Option 1 1-2 days; Lorry Loader Novice course – no previous experience. 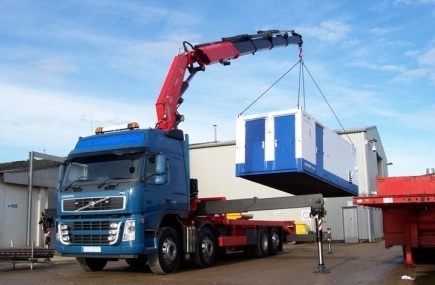 Option 2 – 1 to 2 days; Lorry Loader semi-experienced operator course – some previous experience. Details: This course is for candidates who are required to operate a Lorry Loader as part of their work. Involves both practical and theory training. Aims to provide a thorough understanding together with relevant operational and safety requirements. Completion of Safe Working Practices training applicable to crane operations. Gain practical training to ensure the operator is conversant and comfortable with the operating of the machines in a work environment. Identify the basic construction, purpose and function of components, and the purpose and use of all controls and gauges, this will include any attachments like grab or man cage. Identify and comply with manufacturer’s instructions in accordance with the operator’s handbook, other information and legislation. Carry out a per – use check and running checks on vehicle, crane and lifting equipment. Set up the vehicle to carry out lifts from minimum to maximum radius and keep within the safe working parameters. The certificate can also be issued to the Company stating that the employee is certified to operate their machines, on their behalf as part of his/her employment. This means that the Company is the holder of the certificate and not the individual.